I slept in. I mowed the lawn. I watched TV. I cleaned. I went out to the mall. I had dinner with my parents. I played video games. I went to the kid’s football/baseball/basketball/hockey/soccer game. I did NOTHING. At least those are the types of answers you expect to hear. 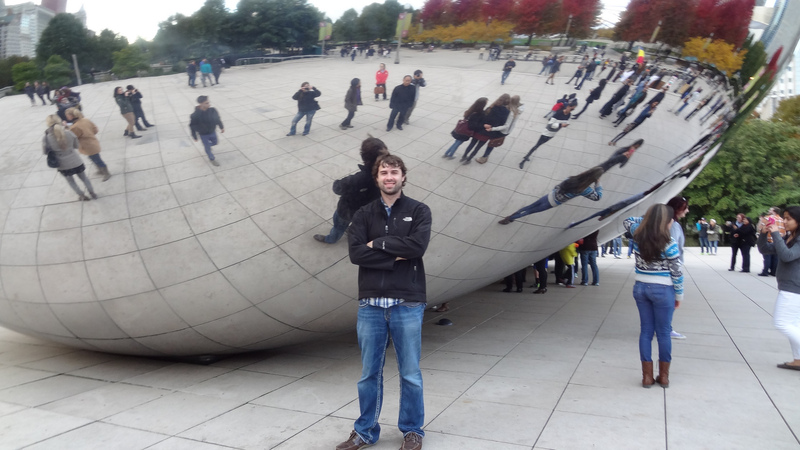 Since the beginning of August, I’ve had about ten Mondays where I could have followed that question up with these answers: Epcot Center, George Washington’s Birthplace, The Grassy Knoll and the Texas School Book Depository, Mount Rushmore, Wind Cave National Park, Scotts Bluff National Monument or hanging out in Chicago. 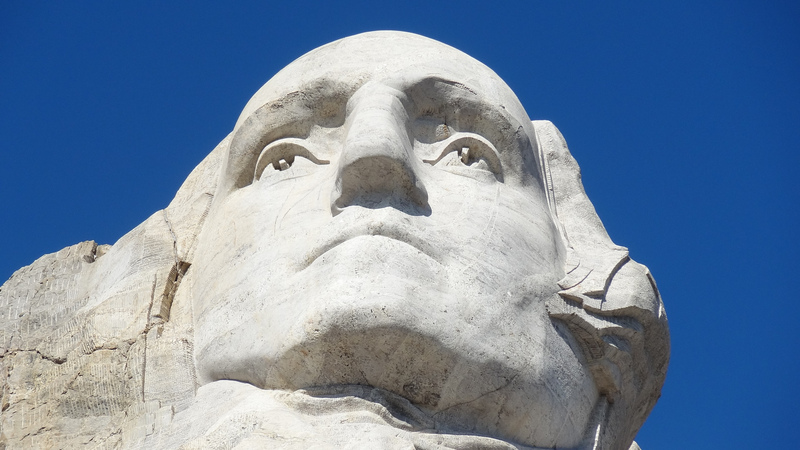 Two hours is about all you really need at Mount Rushmore. Save time for a tour of nearby Wind Cave! I hardly mean to brag. The original purpose of this blog was to highlight all the amazing destinations one can get to in this country in as short a time frame as possible. While it may seem rushed to the uninitiated, this “rapid fire” form of travel is many times the only way for modern Americans to cover as much ground as possible. Long vacations can be expensive and also drain the precious vacation time you accrue at work (which has become even more limited for many in our country as the years go by). I get out more because I budget my vacation time. If I can use a paid holiday and make a four day weekend out of it, I end up using only eight hours of vacation and spent 72 hours touchdown to takeoff in Puerto Rico. As the year wears on, that makes for a lot of opportunities to get out of town. 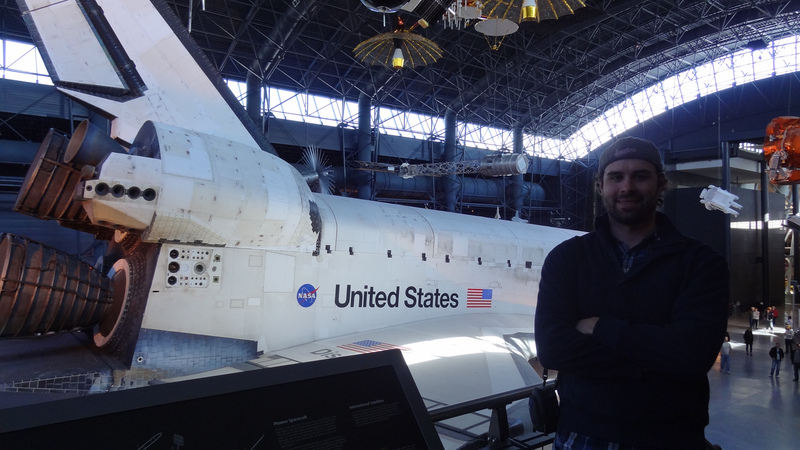 Wondering what I was doing at Epcot Center for one day in August? Orlando is often one of the cheapest destinations on the U.S. map. I used some miles to get the price even further down (I flew in on U.S. Airways, and had a freebie on Southwest coming back). In Orlando I stayed at a decent airport hotel for about $50/night and rented a car for $9/day. I split costs with my girlfriend, which, of course, makes things a bit easier – but who goes to Disney by themselves anyway? Basically the trip amounted to an expensive weekend at home (which would likely include shopping, eating at a restaurant and catching a movie). Yes, I had miles to burn, that helped, but you can even get by without them in these situations and still budget a quick there-and-back outing. 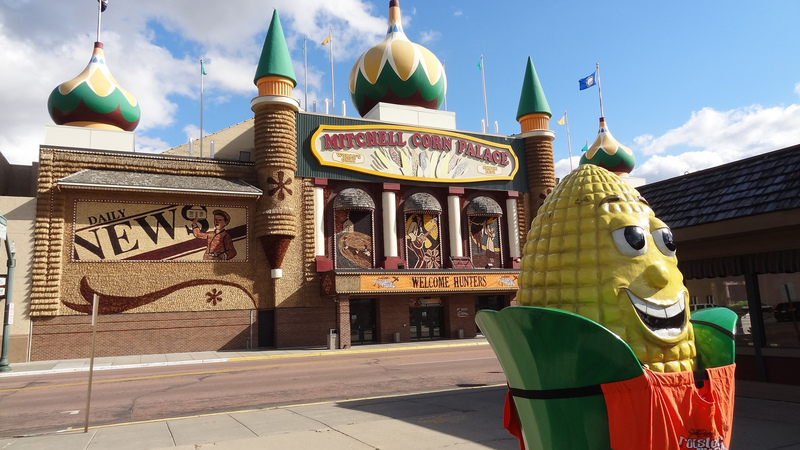 In mid-October I flew to Minneapolis, meeting up with my girlfriend again for a whirlwind tour of the Black Hills. In one day you can easily drive from the Twin Cities to Rapid City, if you can stand the constant bombardment of Wall Drug advertisements along I-90. 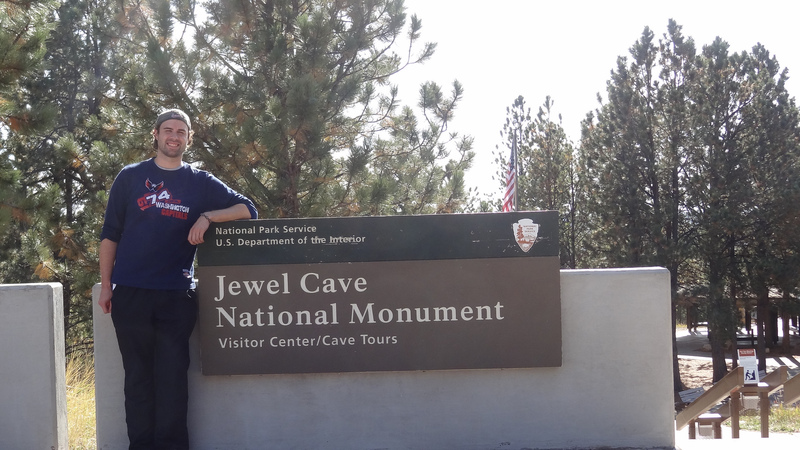 The next day we checked off Mount Rushmore and Wind Cave National Park (and even had time for quick ‘hello’-stops at Jewel Cave and the Crazy Horse Memorial). The following day we blitzed through the Oklahoma panhandle, which is prettier than you’d think. 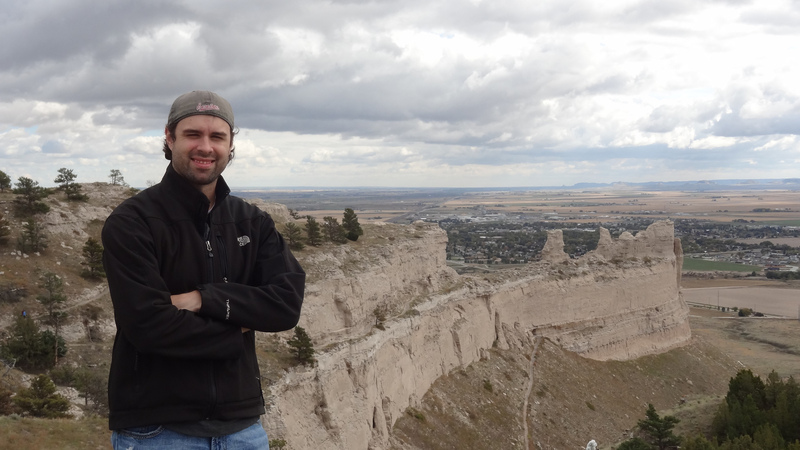 Scotts Bluff is an impressive little hike and Chimney Rock is strangely beautiful. 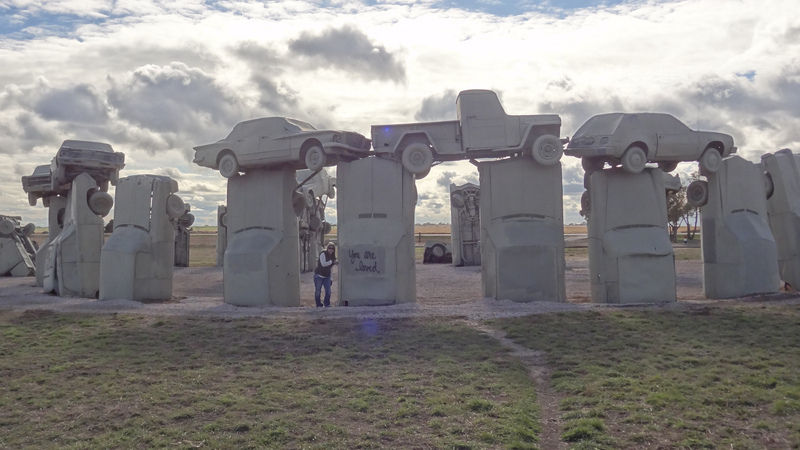 Oh, and you can’t forget Carhenge. I suppose visiting Stonehenge and Carhenge in back-to-back years unlocks a very special Xbox “Life” achievement for me, at least when Microsoft decides to retroactively tally everything I’ve done on the Xbox 3000 in 2042. 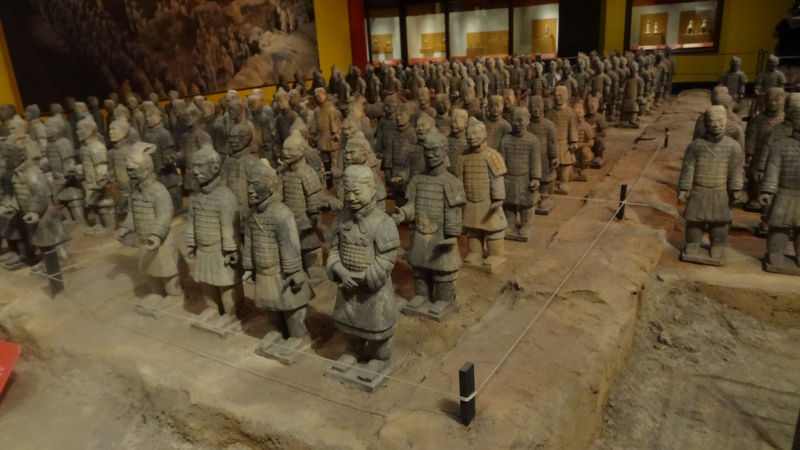 We’re not in China, this is Orlando, FL and the replica Terracotta Army at Epcot Center’s China pavilion. Oh, yeah, we were back in Minneapolis by the next day. See how quick it can be done? I spent at least 2-3 hours at each major site and had my fill. I feel I certainly experienced the Black Hills countryside (and I’ve been there before as a kid) as well as the length of Nebraska. I’ve seen it, digested it and carry it with me now as a memory and a learned experience. Do I wish I had more time? Sure! If I did I’d certainly hit more Nebraska back roads, journey into parts of Colorado or Kansas I hadn’t seen, grab every last national monument in the region until I was blue in the face. But, alas, I must make do with limited time. 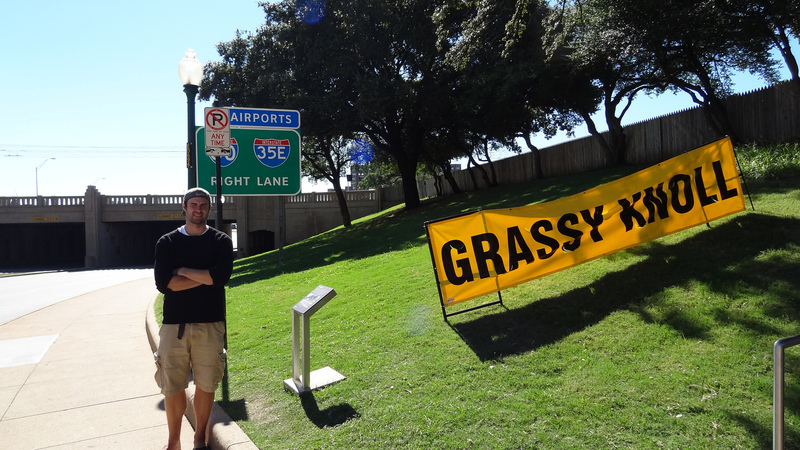 If I want to see the 37th state, then I get the quick self-guided tour. At least I can say I saw it and appreciated it, I know many of us don’t have the opportunity or resources to travel. I know I’m extremely lucky every day I’m out on the road and, believe me, I treasure every moment. 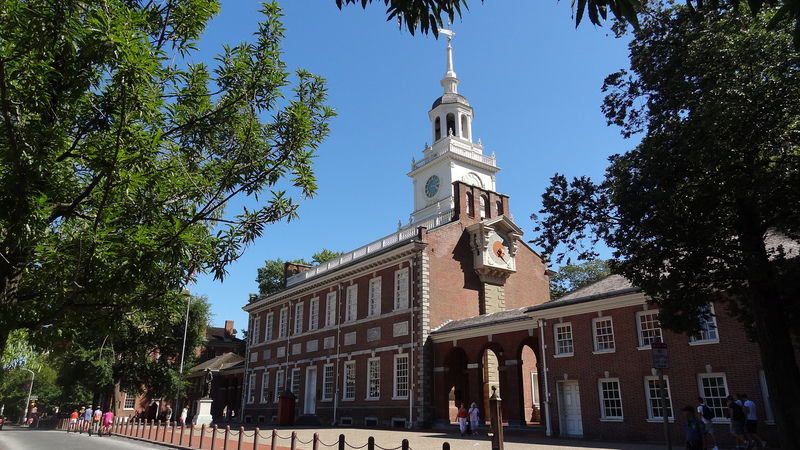 It’s a cheap day’s drive into Philly from D.C., enough time to check out Independence Hall, the Liberty Bell and grab a cheese steak (“whiz with”). For those of us fortunate enough to have steady pay and some precious time to burn, don’t balk at a weekend getaway, even if it takes you to the other end of the country. Roll the dice and give it a chance, and you may have that awesome experience that makes those dreary Monday morning interrogations much more fun to partake in! 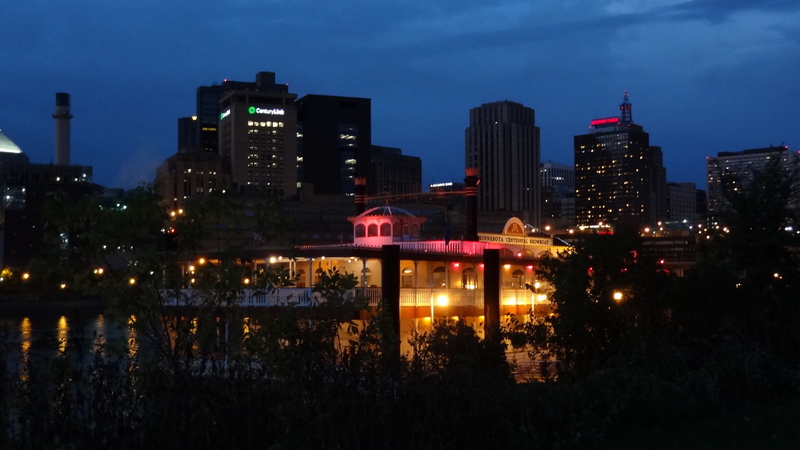 A view of beautiful downtown St. Paul, MN before we caught a play on a riverboat theater. 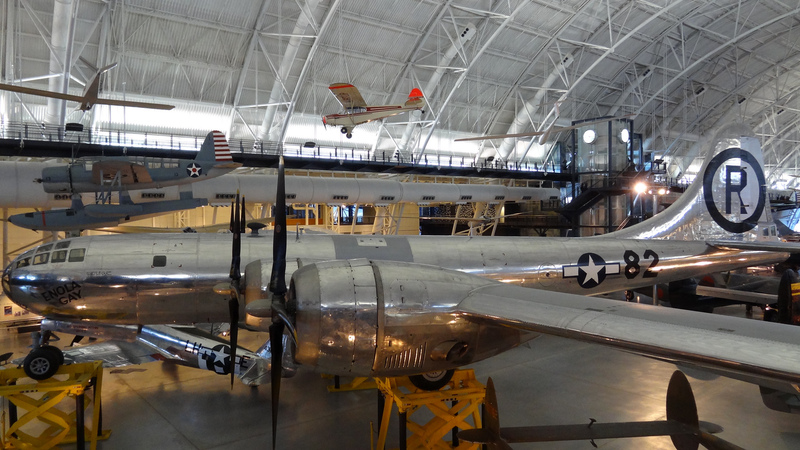 The Enola Gay is also stationed at the Udvar-Hazy Center. That’s the real deal right there, a bit of a jolting sight to behold. Who needs a huge HD screen to get in the game. 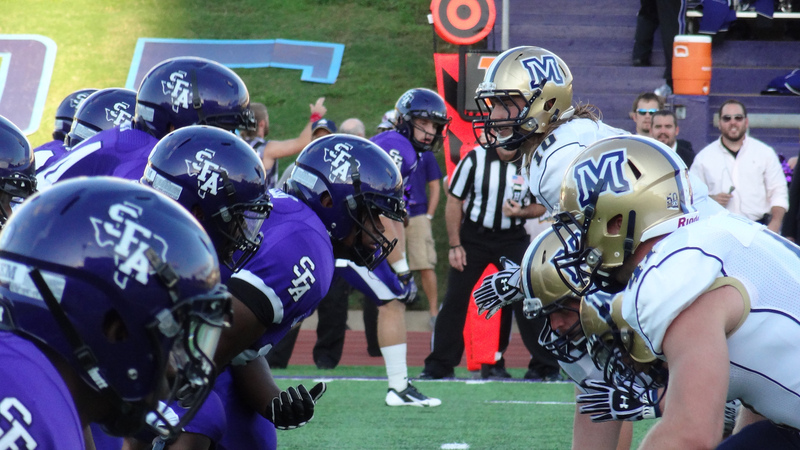 I had a pretty good view of the Stephen F. Austin-Montana State game from the sidelines in Nacogdoches, Texas. 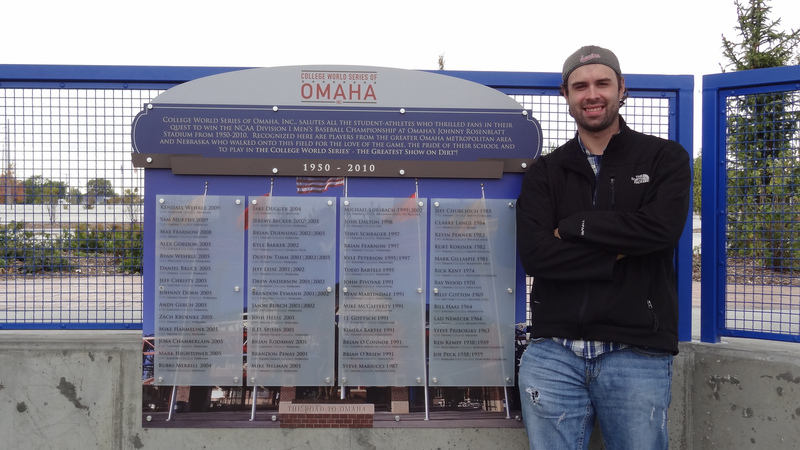 A commemorative t-ball sized field sits on the former site of Rosenblatt Stadium in Omaha, Nebraska. The College World Series was played here from 1950-2010. Scotts Bluff reminded me of the scenery near my former hometown of Billings, MT. I actually felt like I was home in this little Nebraska town. 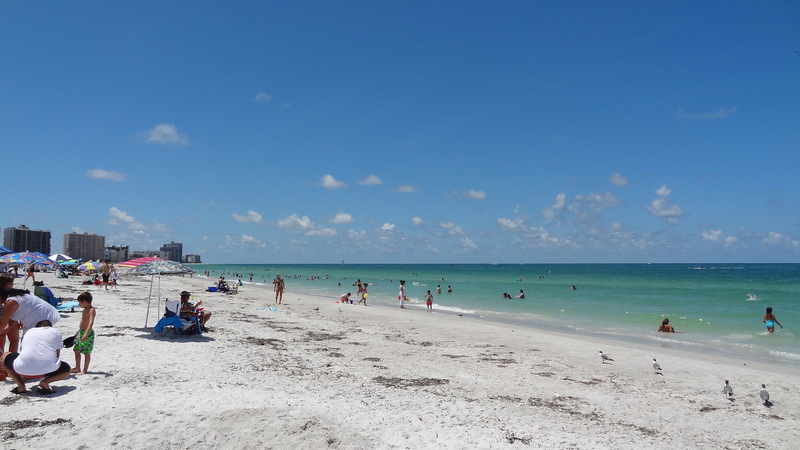 The beaches in and around Tampa can’t be missed! 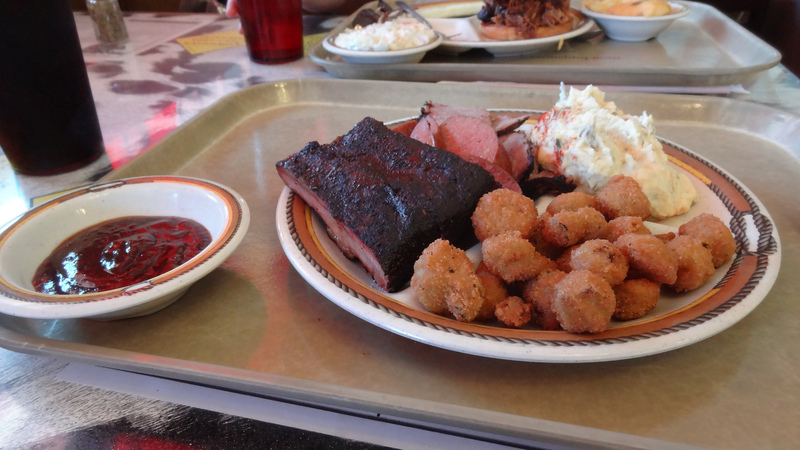 Some true Texas BBQ at Mike Anderson’s in Dallas. Y-U-M! 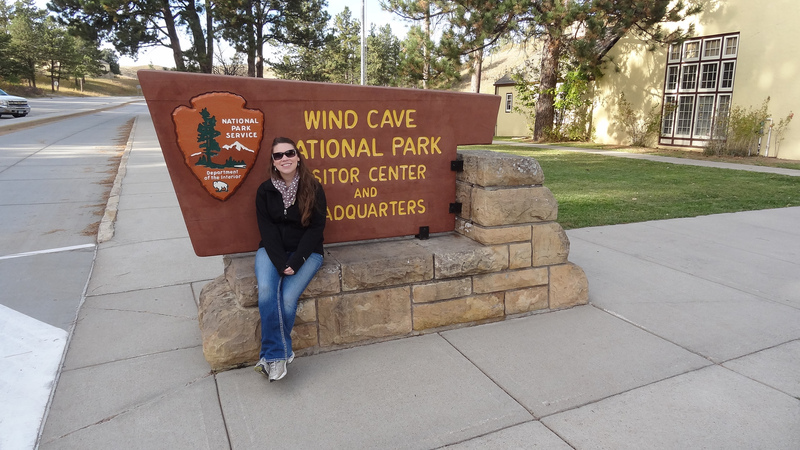 Wind Cave is one of the oldest national parks in the U.S., and one of the most underrated. The tours are awesome! Posted in Florida, Illinois, Minnesota, Nebraska, Pennsylvania, South Dakota, Texas, Washington D.C.